We are a family business which was first established in 1991 and have been serving our local customers vehicles in and around Osborne Park ever since. Michael Caroe has over 30 years experience in the industry and has been dedicated to providing a general repair, brake, clutch and tuning service to the public. Michael has seen many changes in the vehicle industry and is constantly educating himself on new practices allowing him to offer quality repairs on vehicles of all makes and models. Top Gun Autos has gained a reputation for efficiency and dedication to customer satisfaction. 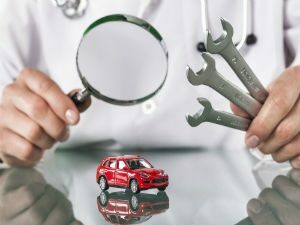 We strive to keep our costs affordable but we also know that you have to have quality parts fitted to vehicles to keep them on the road longer. Whether you need a minor service or a complete engine overhaul we can quickly diagnose the problem and advise you as to what’s the best course of action. All our work is guaranteed, with competitive rates, superior quality replacement parts, and a friendly consultation that ensures you get exactly the job you want.